Travis Kalanick was forced out from Uber Technologies Inc. after a string of controversies. As a spate of sexual harassment scandals rock Silicon Valley, half a world away in Bangalore startups are developing plans and strategies to avoid a similar disaster. From committing to deeper due diligence on founders to creating internal committees to handle complaints, Indian investors and entrepreneurs are pushing for greater scrutiny of the people behind up-and-coming technology companies. While Silicon Valley has long provided an inspiration to Indian startups, recent scandals that engulfed Dave McClure of 500 Startups, Chris Sacca of Lowercase Capital and Justin Caldbeck of Binary Capital are making it a cautionary tale. Travis Kalanick was forced out from Uber Technologies Inc. after a string of controversies, including allegations he failed to properly deal with sexual discrimination. These, combined with incidents in India that have seen the ouster of key founders, have sent a chill through the startup community. "It has really hit us now that this can take on mammoth proportions," said investor Krishnan Ganesh. "As the Uber story shows, however valuable a startup is, however iconic its founder, it can still shake the company at its very foundations." Acceptable behavior and zero tolerance policies have been put in place in Ganesh's portfolio companies. Among the behavior banned is staring, forwarding sexist jokes and calling female colleagues by names such as "sweetie" and "baby," Ganesh said. He has been an early backer of startups including online grocer Bigbasket and home health-care services provider Portea. Along with financial and legal audits of startups, investors are stepping up due diligence on individual founders as well, he said. Ganesh spoke to a crowd of about 200 participants, half of them men, at a Bangalore meeting convened by local venture capitalist Vani Kola, co-founder of Bangalore-based $650-million venture fund, Kalaari Capital. Kola said she was driven to hold the event at her firm's Kstart accelerator after seeing a lack of local conversation around the topic of harassment and discrimination. Kola said policies have been rolled out in her fund and across all its startups, its founders put through fire drill-type situations to learn to deal with sexual impropriety incidents. "People have to call out this type of behavior, only an open dialog can give women courage," she said. "This is not outrage or activism but a forum for sharing solutions that can create change," said Kola, whose fund has stakes in over 60 startups including the country's most valuable, online retailer Flipkart Online Services Pvt. 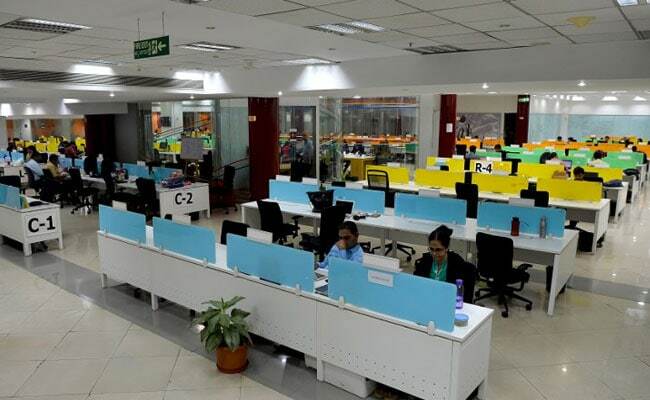 Bangalore is home to Indian outsourcing giants including Infosys Ltd. and Wipro Ltd. and has long attracted technology talent and entrepreneurs. That has led to hundreds of startups being created every year and turned the city into one of the most vibrant tech ecosystems in the world. While Silicon Valley has grabbed the headlines, India has had its share of sexual misdemeanors. The chief executive of web entertainment startup The Viral Fever stepped down earlier this summer after being charged with sexual harassment of a former employee. A co-founder of digital media startup ScoopWhoop was charged after being similarly accused. The company said in an email it condemns workplace harassment and has referred that case to its complaints committee, while cooperating with a separate police investigation. The Viral Fever didn't respond to requests for comment. Breaking the ' bro culture' of technology startups is challenging, given the way many of them come into existence. Often founded by people straight out of college, there is a tendency to recruit from their own friends and associates to get the business up and running. "Startup environments then become an extension of the campus with the attendant sexist jokes and hostel culture," said Karthik Reddy, managing partner at seed-stage venture fund Blume Ventures. He said the firms he backs typically hire the first 10 employees from within their circle. "God forbid, if any scandal breaks out in any of the portfolio companies." With venture capital money continuing to flow into the sector, many entrepreneurs find themselves with lots of cash and a high social-media profile at a young age, which can have a corrupting influence, said Preeta Sukhtankar, the Mumbai-based founder of The Label Life, an online retailer of lifestyle products. "I hope these scandals don't deter woman entrepreneurs from getting into the industry," she said. Sanjay Swamy, a managing partner at Prime Venture Partners, said 40 founders of the 17 companies backed by his fund are being put through workshops. That is ensuring that sexual harassment training becomes as much a "hygiene item," or basic essential, as human resources, legal and financial ethics compliance. Reddy, the early stage investor, said his fund has launched an all-out hunt for prominent non-profit leaders required to propagate Prevention of Sexual Harassment at the Workplace laws as mandated by the government. The so-called POSH Act requires firms with more than 10 workers to implement policies to deal with misconduct, punish offenders and create committees including a female employee and a representative from a non-profit working in the area of women's welfare. "We are often held to Silicon Valley standards," Reddy said. "We are a far younger ecosystem but we certainly don't have 10 years to fix this."